Thus, this list is going to avoid things of this nature — things like the smallest desert in the world (Judean Desert) or northernmost coral reef (Eilat). I will also avoid the things that are not unique to here, even though Israel may be among the best places in the world to see them. Examples of this would be migratory bird watching in the Hula Valley, Bauhaus/International Style architecture in Tel Aviv or Bronze Age urbanization at Tel Arad. These are all excellent reasons to visit Israel, but I want to focus on the truly unique things that cannot be seen anywhere else in the world. Here I just got finished saying that I wouldn’t be talking about highest, biggest or longest-in-existence. So why do I jump straight to the Lowest Place on Earth? Because whereas some of those extremes are not significant, the Dead Sea is a very significant place geologically, ecologically and historically. Many of those hyperbolic extremes are silly, but some are still important. Sinkholes on the shore of the Dead Sea. 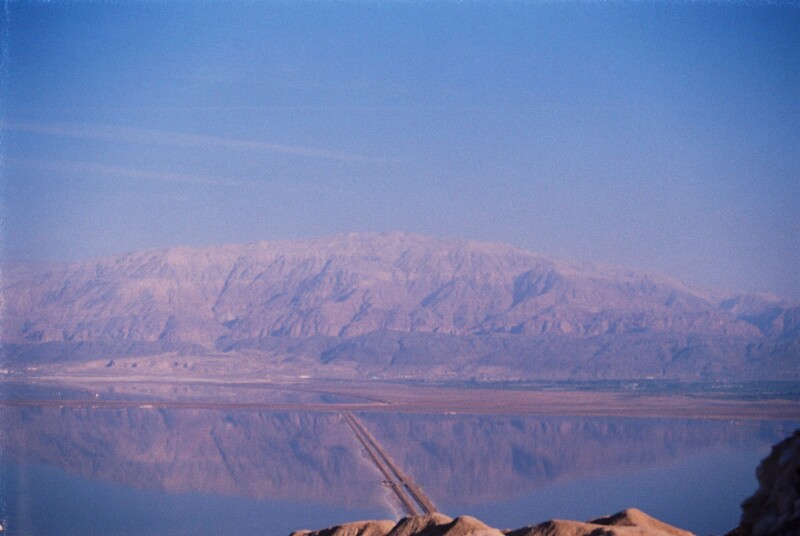 The Dead Sea formed as the lowest place on dry land via the opening of the longest fault line in the world. The Syrian-African rift stretches from near Damascus almost all the way down to Zimbabwe, and forms the seam between two tectonic plates. As they spread, certain jagged parts of the seam formed “pull-apart basins,” the Dead Sea forming in one of the major ones. 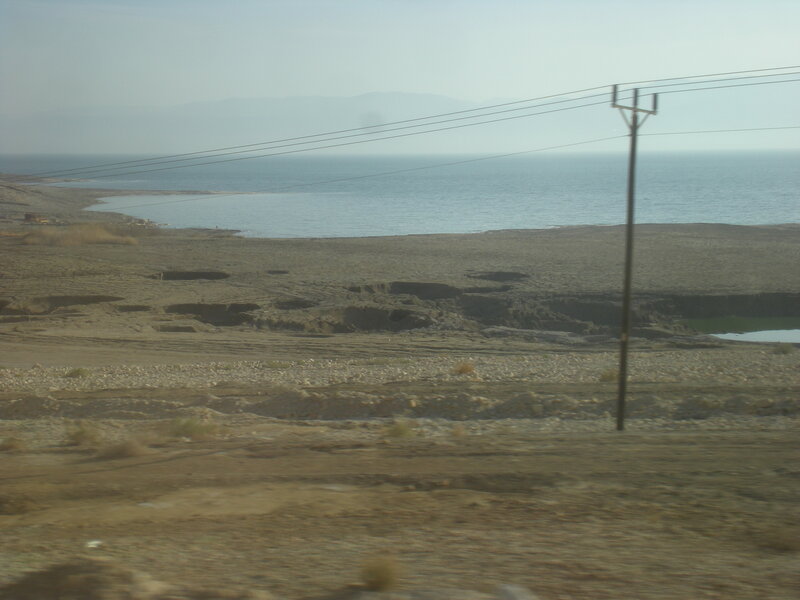 What this means is that all of the water from Eastern Israel and Western Jordan flows continually downwards until it enters the Dead Sea. It only has inflow, with nothing flowing out of it. Water simply evaporates from there and leaves everything else behind. Thus, taking samples from the floor of the Dead Sea is one way to learn about historic weather patterns and geological shifts. The high salt content of the water also famously makes it a place where people can float with no need for external aids. And these very salts have made the Dead Sea an important source of certain types of phosphates and other resources from antiquity to today. All of these things led to the Dead Sea ending up as a finalist in the recent New 7 Wonders of Nature competition. And it is also why I must mention, at the same time, the ecological nightmare that man has turned this natural wonder into. 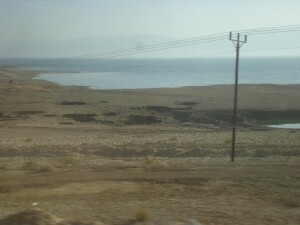 Due to diversion of the water of the Jordan upstream, and also due to pollution of the Jordan, the Dead Sea is itself dying. The level of the surface of the Dead Sea has been dropping at the astonishing rate of 1 meter per year! In addition to the dangerous sinkholes this has created in the region, it is also leading to the possibility of us irrevocably destroying a truly unique natural site. If you come to Israel, you must visit the Dead Sea to witness the wonders — as well as the human damage — that is there. Hopefully we’ll be able to reverse the damage before it is too late, and future generations will also be able to benefit from visits to the Dead Sea. Many different powers and empires have conquered the land of Israel over the millenia. But rather than looking at the victors, I want to look at two spots in Israel where major imperialistic drives were stopped. Obviously, we can’t know for sure what would have happened had they not been stopped here, but one must assume history would have taken a vastly different course. Most people don’t know it, but hidden in the tiny strip of land that is today’s Israel are the final points of advance for both Napoleon and the Mongol Empire that had been founded by Genghis Khan. Both Napoleon and Genghis Khan’s grandson Hulagu Khan followed their defeats in battle here with retreats that were never reversed. 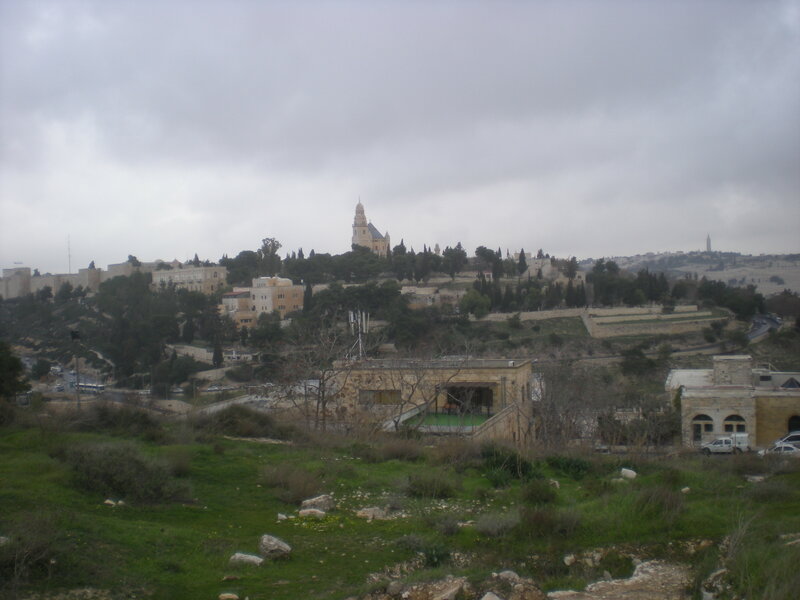 In the 1260 Battle of Ain Jalut, located in today’s Jezreel Valley, Hulagu Khan was defeated by the Mamluk leaders Qutuz and Baibars. A huge battle involving around 40,000 soldiers took place, leading to the Mongols’ eventual defeat. The Mamluks had better technology, knowledge of the area and tactical planning. This ended up being the furthest southwest that the Mongols ever advanced, and was the first time that they did not come back for a second victorious battle following a defeat. After Hulagu returned to the East, the Mongol Empire fell apart due to internal splits and succession fights. Similarly significant, though perhaps less famous, is Napoleon’s defeat at Akko / Acre in 1799. Having advanced through Egypt and defeating the Ottoman-Mamluk alliance there, Napoleon moved deeper into the Ottoman Empire, in Palestine. Moving up the coast he won significant victories at Jaffa and Haifa. The next major port city northwards up the coast was Akko, a heavily fortified ancient city. Napoleon expected to take the port, and then head inland towards Jerusalem. But Napoleon had more than he bargained for waiting at Akko. In addition to the Ottomans, led by their vicious leader al-Jazzar, aided by his Jewish right-hand man Chaim Farchi, the Brits had come to help the Ottomans. British Commodore William Sidney Smith contributed by attacking Napoleon’s forces at sea, just north of Haifa, and capturing his cannons, which the Ottomans and their allies used against Napoleon’s own forces! After two months, Napoleon lifted his siege of Akko, returned to Egypt, and eventually retreated all the way back to France. Had he rather won at Akko, he very likely would have been able to defeat the Ottoman Empire, which was already a good 300 years or so past its peak of strength. In his own words, he “would have returned to Paris by way of Constantinople.” Instead, the Ottomans continued to rule in Palestine, and the Brits began demanding various rights in exchange for their assistance. Thus, the battle at Akko not only changed the face of European history, but also on a micro scale altered the course of history inside the Holy land itself. This one will be a bit shorter, but in brief, there is nowhere else in the world where you can literally walk in the footsteps of the founders of not one, but two of the most major religions on Earth — Judaism and Christianity. And as the progenitors of the Abrahamic tradition that also grew into Islam, Israel may be seen as the proto-birthplace of that religion as well. Indeed, Israel is the birthplace of monotheism itself. 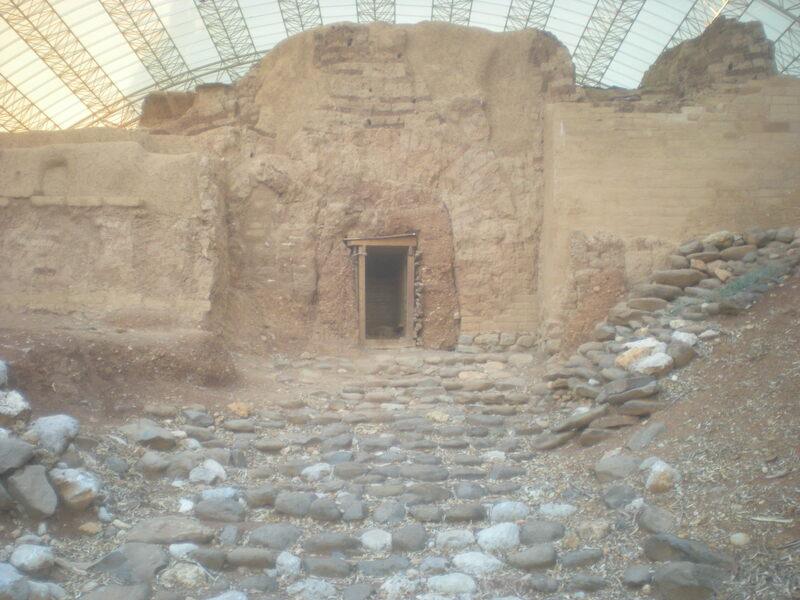 Archaeological remains of cities that Abraham visited, sites associated with the burial of Judaism’s patriarchs and matriarchs, and the very locations of the vast majority of events accounted in the Tanakh make Israel unique in the world. Compound that with the birthplace of Jesus, the towns marked in the New Testament by his miracles and ministry, and the spots associated with his crucifixion, burial, resurrection and ascension make Israel the perfect place to examine the birth of Christianity as well. Additionally, while perhaps not unique (and thus not the heading for this section), Israel is also an excellent place to see points of intersection between the three major monotheistic religions. Jews and Muslims pray side-by-side at both Maarat HaMachpelah / The Cave of the Patriarchs and Elijah’s Cave on Mount Carmel (and there is a Christian site located nearby this latter spot). 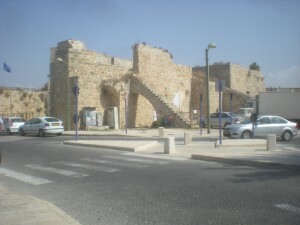 The Great Mosque of Ramle is actually in secondary usage, and was originally built as a Crusader-era church. And in the ruins of the Byzantine Kathisma Church we find evidence of early Muslim prayers taking place in the same structure as Christian prayer. These and many other intersection points are interesting from the perspective of religious history, sociology, history and modern political thought as well. Yeah, that’s a plural Hebrew word, with the singular being Makhtesh. And that is the singular in both Hebrew and English, because the geological formation known as a Makhtesh is unique to this region. Thus, the Hebrew name for them is also the official geological term. You may hear this feature referred to commonly as a “crater,” but in fact that is inaccurate, as they did not form via meteor impact or anything of the sort. They are also not canyons, as they did not form as river gorges (though our largest, Makhtesh Ramon, is something like Israel’s version of the Grand Canyon). So what is a makhtesh? Without going into too much detail (I’ll probably write a full What is…? post on them some day), a makhtesh is an erosion hole in which the remains wash out of the hole instead of remaining behind. Due to a specific combination of conditions that all exist in Israel, this is the only place in the world where they can form. So, what’s the big deal about the makhteshim? So they are unique — big deal! Well for starters, they are also magnificently beautiful. Standing at the edge of a makhtesh, be it the giant Makhtesh Ramon, or the Small or Large Makhtesh nearby, looking into these massive rounded holes in the ground is a magical experience. But going into them is even more beautiful. There are magnificent geological formations, giant fossils of prehistoric sea creatures, petrified trees, sands of brilliant colors and more. But more importantly, when you descend into one of the makhteshim, you also step back into the ancient past. The stone formations there date back to the Jurassic era, making a makhtesh a literal window onto the past. Looking up at the sides of the makhtesh, you have a prime opportunity to view the layers of geological formations from many millions of years at once. Nowhere else on Earth can you have such an experience. I’m talking about the arch as an architectural feature, and golden in terms of their significance to history. Ask the average person which culture invented the arch, and he’ll say the Romans. In fact, arches long predate Rome, though the Romans did perfect the arch (I believe with the addition of the keystone feature), and also found more and more uses for this very strong architectural form. Rome definitely used arches much more extensively than did any prior culture. In reality, however, you can see much older arches in many places around the world, including Israel. For example, there are tons of Hellenist-era arched vaults scattered throughout this country. And while they may be less recognized than Roman arches, they are still not something that you can only see in Israel. However, there are two places you can go in Israel to see the most important early arches in the world. At Ashkelon, in the remains of the ancient city, there are the remains of the oldest arch ever discovered in the world, dated to approximately 1800 BCE, in the Middle Bronze Age. Only the sides still exist, up to the start of the inward slope, but the top has been reconstructed, making it the oldest arch in the world that you can actually walk through. Even more impressive, however, is the arched city gate at Tel Dan. Somewhere around 100 years younger than the Ashkelon arch, this one was found fully intact. Thus, the gate at Tel Dan is actually the oldest fully extant arch in the entire world. It is quite large, with three separate arches made of mud bricks. It is currently largely supported by dirt fill, and covered by a shade, and while you can see it quite clearly, it unfortunately is not one that you can actually walk through. Arches have been used to build bridges, roofs, aqueducts and almost everything else throughout history. Vaulted ceilings, window and door openings, basilica construction, domes — all indicate that the arch is the most important and widely used architectural element in history. And they all trace their roots to Israel! Now of course, an older arch may someday be discovered elsewhere. But until then, you can only see the earliest arches in this impressive country. Walk in a Byzantine Synagogue – There are well-preserved remains of many Byzantine-era Synagogues in Israel, and all are impressive. But one in particular deserves special mention. In the Golan Heights, one such synagogue that collapsed in an earthquake was a bit off the beaten track, and thus all of the original stones remained where they fell, instead of being taken for secondary usage elsewhere. 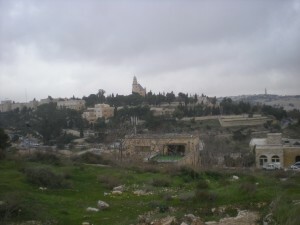 Thus, a plan was hatched to rebuild the full synagogue at Umm el-Qanatir. Using advanced technology, they have identified all of the stones and have begin to reconstruct it (with the addition of modern earthquake-proofing building methods). To my knowledge, there are no other fully extant Byzantine-era synagogues in the world. Drive Along an Electric Network – Israel is something of a political island in the Middle East. What that means is that few people drive from inside Israel to any of the neighboring countries. Thus, with a small country that is on its own, it made the logical spot for Project Better Place to build its first electric car network. An Israeli innovation, the main idea of Better Place is that to get around the issue of long recharge times for electric car batteries, a driver of such a car could continue to drive longer distances by driving into a battery swapping station. In a minute or so, a robot removes the uncharged battery and replaces it with a fresh, fully-charged one. Better Place saw the potential of building swapping stations throughout the entire country of Israel, thus creating a full netowrk for driving electric cars. The Virgin Mary as You’ve Never Seen Her – In the Judean desert, not far from the traditional spot of Jesus’ baptism, there is a monastery called Deir Hajle. In the crypt of the church there is a painting that portrays the Virgin Mary in a somewhat surprising manner: breastfeeding the Baby Jesus. From an artistic perspective, this is unexpected, and I see it as the artist stressing both Jesus’ divinity (he is still painted with a halo) and his humanity (he needs to feed, like any other baby). In truth, this is not the only place in the world where you can see it. There is one other famous painting in the Hermitage museum in St. Petersburg that shows a similar scene. But it certainly is a very different thing that is significant and intriguing from an artistic perspective. Learn something new everyday. Very interesting, thanks Joel! Wow! Thank you Joel! Your article makes me desperately want to return to Israel! We visited in 2009 and after leaving I felt such a strong desire to learn more and to develop a more in depth knowledge of Israel’s history. Reading this has fueled that flame in me again!